"Who's going to win?" is the question of the moment in the NFL. As preseason football blessedly fades away and attention turns to the real games around the corner, everybody wants to know who's going to win. Who's going to win the division? Who's going to win the conference? Who's going to win the Super Bowl? Here, we're a little more individual-focused. This particular piece takes up the question of who's going to win the awards. You know, MVP, Coach of the Year, rookies of the year. That kind of stuff. Yes, it's prediction season all the way around. And as we look forward to the NFL season, here are our panel's best guesses for which individual NFL humans will take home the hardware when the 2018 season is over. Our preseason voting panel: Bill Barnwell, Matt Bowen, Mike Clay, Dan Graziano, Mina Kimes, Vince Masi, Mike Sando, Aaron Schatz, Adam Schefter, Kevin Seifert and Field Yates. 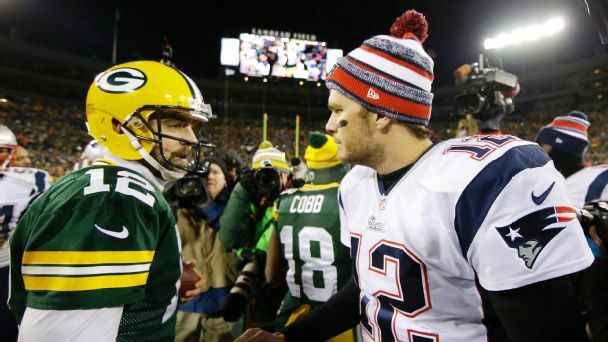 In an extremely close vote, Rodgers edges New England's Tom Brady by three points. Seven of our 11 panelists threw him a first-place vote. He's coming off a season in which he missed nine games for health reasons, so he's eligible for another one of these awards, as you'll see below. But in picking Rodgers to win the big one, our panel has some historical support. The last time Rodgers missed a large chunk of a season due to injury was 2013, and he came back the following year to throw for 4,381 yards and 38 touchdowns, and secure his second MVP award. A big comeback at age 34, and a return to the playoffs for the Packers, could secure Rodgers a third. The reigning MVP will play at age 41 this year, but there's no reason to expect a drop-off in performance until we see one. Brady led the league in passing yards last year, and had 32 touchdown passes to eight interceptions. If he leads the Patriots to their customary 12-plus wins, he'll be credited for carrying a tattered wide receiver corps and and surviving behind a depleted offensive line. Those things work in your favor when it comes time to vote, and could deliver a fourth MVP trophy for Brady. The Saints are a preseason Super Bowl favorite, and Brees appears set to break Peyton Manning's career passing yardage mark during the season. There will be a lot of attention on the 39-year-old Brees, who has never won an MVP award but could break that hex if the Saints build off of last year's success and secure one of the NFC's top two seeds. Elliott got a second-place vote, a third-place vote, a fourth-place vote and two fifth-place votes from our panel, and he's an intriguing pick. NFL award voting favors quarterbacks, as Elliott himself found out when he unjustly lost the 2016 Offensive Rookie of the Year award to teammate Dak Prescott. But if the Cowboys unseat the Eagles as NFC East champs this year, it would likely be because they leaned heavily on Elliott to drive their offense. 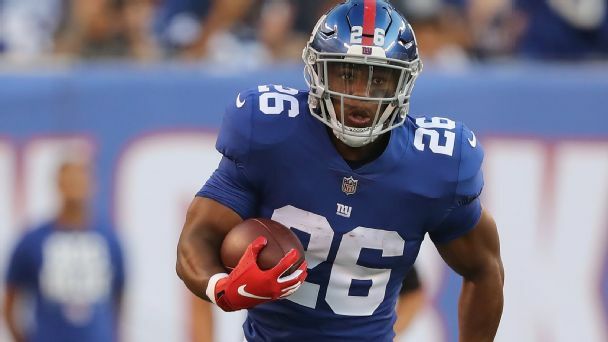 History shows a running back has to have something close to a record-setting season -- probably in a year when there aren't a lot of strong quarterback candidates -- to win MVP. But Elliott is the kind of player in the kind of situation that could make it happen. Expectations are high for young Watson, who grabs two third-place votes and a fourth-place vote to edge out Todd Gurley II, Carson Wentz and Ben Roethlisberger for the fifth spot in our preseason MVP poll. Watson played like the best player in the league during the brief, pre-knee-injury portion of his rookie season, and the belief is that he'll make a full recovery and be in position to build on that performance. Returning the Texans to the top of the AFC South would make Watson a strong candidate. It's literally impossible to predict this award before the season starts, because it always seems to go to a coach whose team outperforms preseason expectations. And if we knew who that was going to be ... well those expectations would be higher, wouldn't they? So we default here to the best coach of all time, who could win it every year and it wouldn't be an upset. 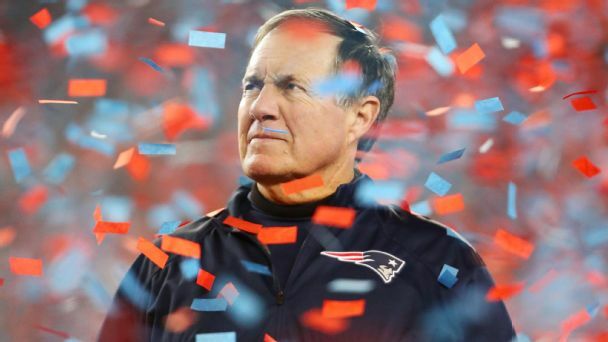 We feel pretty confident the Patriots are going to be good, though, which means Belichick probably has a hard time winning it. The last coach to win this award in back-to-back years was Washington's Joe Gibbs, who won it in the strike-shortened 1982 season and then again for going 14-2 the following year. Baltimore's Don Shula tied for the award with George Allen in 1967 and then won it again in 1968. And the Giants' Allie Sherman won it back-to-back in 1961-62. That's the whole list of coaches who've won Coach of the Year in consecutive seasons, a group McVay would join if he won it this year. The Rams are a consensus favorite to win the NFC West, which means they'd have to be mega-great to get their coach this award two years in a row. Sure, the defending Super Bowl champions coach is on here, because we know he can coach and we figure his team is probably going to be good enough to put him in the discussion. But again ... come on. What would the Eagles' record have to be this year for Pederson to win this award over someone whose team comes out of nowhere to go 10-6? Now, here's an award you can win back-to-back. J.J. Watt just did it in 2014 and 2015. In fact, Watt won it three years out of four, because he was the 2012 winner as well. 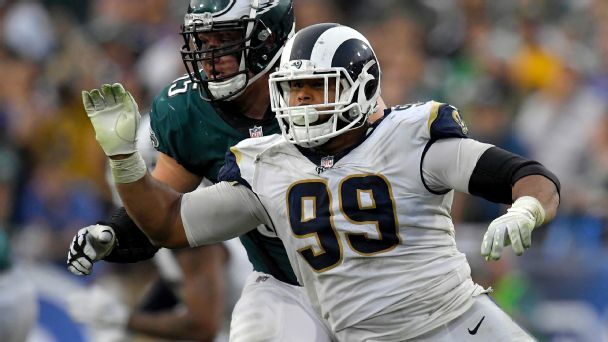 Donald could join that company for similar reasons -- because what he delivers as a pass-rusher from an interior defensive line position makes him a truly unique player whose skills and performance can elevate him above a crowded field. If he wins it two years in a row without attending training camp, though ... that could be bad news for coaches who want their star players in camp. The up-and-comer in the group, Bosa has 23 sacks in 28 games in his first two seasons in the league. He's paired with another fearsome edge rusher, Melvin Ingram, which helps draw attention away from him. Imagine him winning Defensive Player of the Year three months before his brother is the first pick in the NFL draft? Another emerging star from the 2016 draft class, Ramsey already is regarded as one of the best corners in the league. Having A.J. Bouye starting opposite him could have a similar effect to the one we discussed about Bosa and Ingram. If that's the case, and if Ramsey improves on his interception totals (six in two years so far), he would make himself a candidate for this award. And then maybe we could find out what he really thinks about all the quarterbacks in the league. Oh wait. If you believe in a Rodgers comeback, you believe he has the ability to win this award. 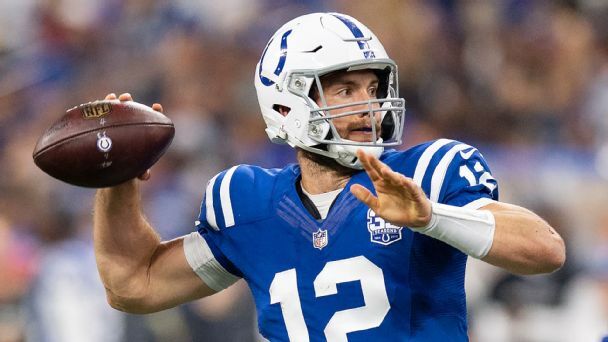 When healthy, he's the best quarterback in the league, and how can the best quarterback in the league not be considered for offensive player of the year? The only thing that might hold him back is if he does indeed win MVP and voters want to reward someone else here. The above scenario is what happened last year, when Gurley took home this award while Brady won MVP. 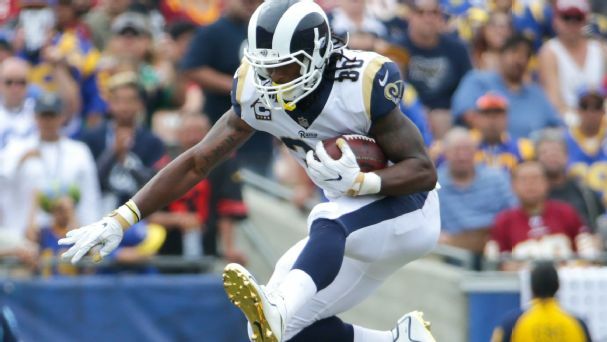 Gurley obviously has the ability to be a yards-from-scrimmage monster who helps the team in the running game and the passing game, and that makes him a perennial candidate here. The same can be said for this guy, who heads into (yet another) contract year, but this time may be able to taste real free agency next summer. Bell has no shortage of motivation, and assuming he returns to the team along the same schedule as last year and doesn't skip a beat, he'll rack up rushing and receiving yards at a rate that puts him in contention for this award. He finished third in our poll just ahead of Brady and Elliott. 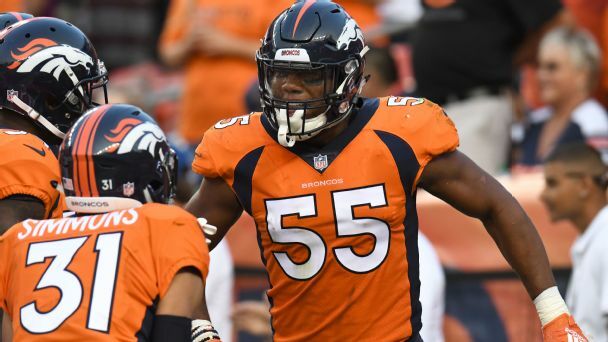 No defensive rookie is in a better position to succeed statistically than Chubb, who's not likely to see many double-teams with Von Miller playing on the other end of the line. If he can join the rare company of men who've delivered double-digit sacks in their first seasons, Chubb could basically be a lock for this award. All eyes will be on Smith, who stayed away from training camp a long time while his contract was worked out. He long has been viewed as an instant-impact kind of guy, and he'll shoulder a lot of responsibility in the Bears' defense. That unit could be better than people think, and if it takes a huge jump this year, Smith is likely to get a good chunk of the credit. The Chargers believe James is a do-everything kind of safety who can help them in a variety of ways. A defense that's ultra-strong up front and has good cornerbacks as well could put James in position to shine right out of the gate. The Giants have not had a top-10 rushing offense since 2010. In the seven years since, they rank 30th in the league in rushing yards, ahead of only Arizona and Detroit. The last time they had a back rush for 1,000 yards in a season was 2012, when Ahmad Bradshaw had 1,015. As the much-ballyhooed No. 2 overall pick in the draft, Barkley is charged with fixing all of that. No other rookie should get the amount of opportunity Barkley gets to show what he can do. The Giants -- and our panel, who picked him unanimously here -- believe he has the ability to do it big. It appears Freeman will open the season as the starting running back for the Broncos, who also have been looking for a lasting answer there. They had a 1,000-yard back last year in C.J. Anderson, but five different players have led the Broncos in rushing over the past six years, and they would like someone to deliver some consistency of performance. The Oregon product is coming off a big camp and will get a shot at the job. If Darnold really does start Week 1 for the Jets, and if the Jets have a surprisingly good year, this will be one of the biggest stories of the season and thrust young Sam into the discussion for this award. It feels more likely that it will go to one of the running backs slated for a high volume of carries, but the spotlight on Darnold will ensure that he's never out of the minds of the voters -- as long as he plays well. The preseason favorite because what he's coming back from happened two years ago, and a return to his pre-injury form would be a welcome relief after the stops and starts of 2017. Another player who has been eligible for this award too many times in recent seasons. Can Watt, who appears bound for the Hall of Fame, once again be the player he was early in his career? Or are we destined to see some lesser version of him from here on out? Our panel picked Rodgers for MVP and Offensive Player of the Year. It suffices to say that, if he returns from his injury and wins both of those awards, you'd probably have to give him this one too.